Happy St. Patrick’s Day Internet! In 400ad there was a man by the name of St. Patrick that went to Ireland and explained that whole Christianity thing to everybody. He spent thirty years on his mission trip and was revered as a saint several centuries later. Supposedly, he even drove out all the snakes in Ireland. No mean feat for someone who wasn’t a wizard. My question though is what happened to all the snakes and where did they go? 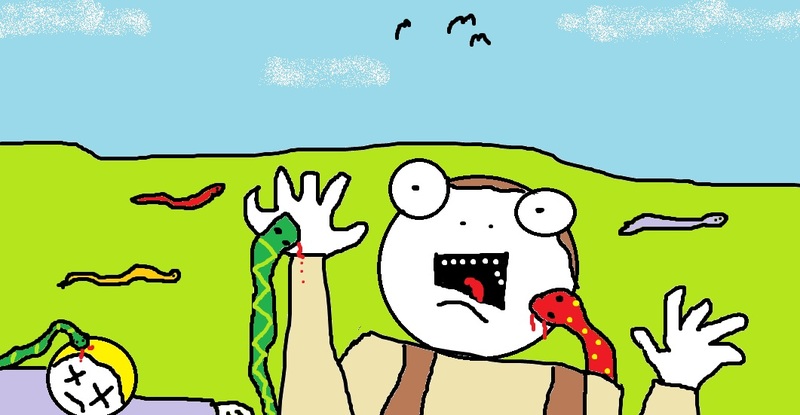 Maybe there’s a correlation between the disappearance of snakes in Ireland and England’s Great Snake Plague of 435ad. P.S. If you’re in Chicago, they dye the river green each year… just found that one out. This entry was posted in Funny Section, Main Board, Nerd Section and tagged funny, hilarious, history, humor, religion, snakes, St. Patrick's Day by underwhelmer. Bookmark the permalink. I won’t drink green beer. why waste alcohol on the river if you can ingest it? Pentru că este mega awesome! …leaving Irish rats with fewer natural predators. 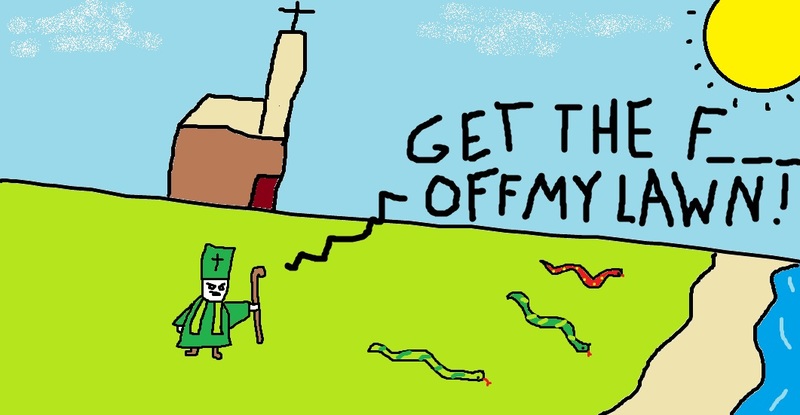 Thank you St. Patrick… And hey “U”, only a wizard like yourself can make death, snakebites and plagues so darn much fun. I might just make a point of celebrating St Patricks day from now on, now that I know about the English plague lol.